2016 10 24 Active Component and Reserve Component Career Counselor of the Year Awards presentation. 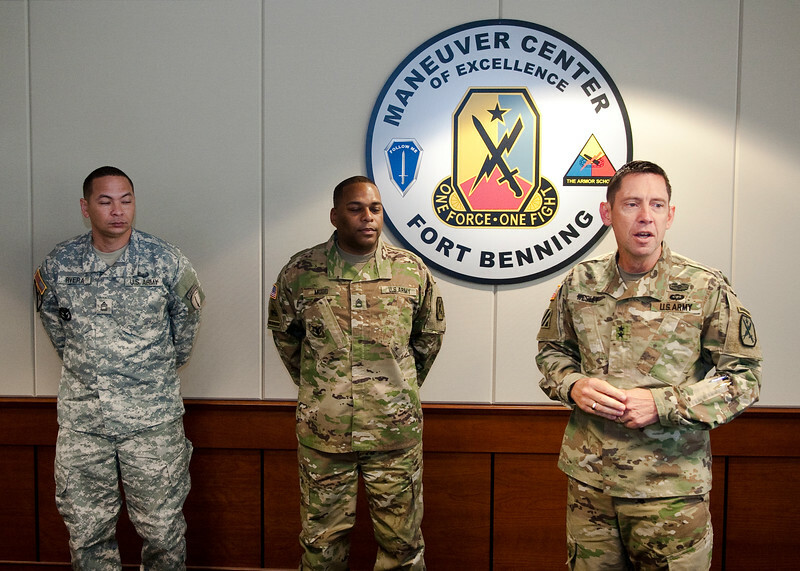 (Fort Benning, Ga) Maj. Gen. Eric J. Wesley presents awards for the Active Component and Reserve Component Career Counselor of the Year to Sergeant 1st Class Kenneth R. Mudd and Sergeant 1st Class David H. Rivera, here, October 24, 2016 in McGinnis-Wickam Hall. Active Component and Reserve Component Career Counselor of the Year Awards presentation.